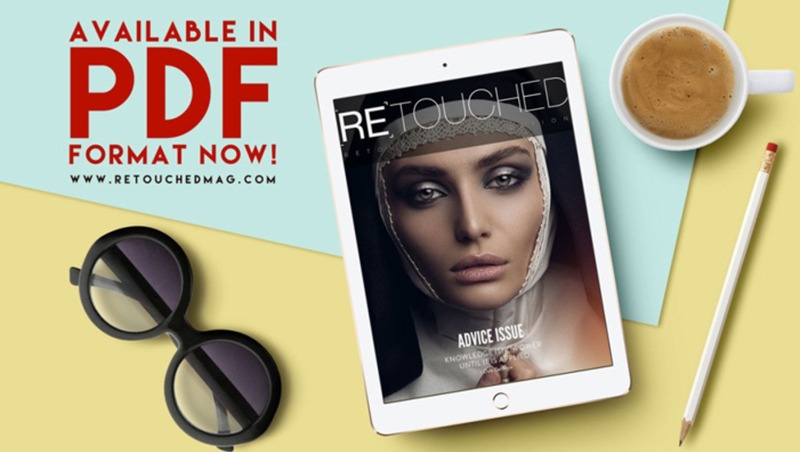 Retouched Magazine, the interactive magazine from retoucher and beauty photographer Julia Kuzmenko McKim, has recently announced that they are also now available in PDF format. The magazine brings some of the most talented and experienced photographers and retouchers together to teach and share their insight into the field of retouching. Topics from the pro tools and methods for retouching, building your portfolio, and being successful in the field of retouching. Articles come from the top photographers and retouchers in the world including Pratik Naik, Benjamin Von Wong, and Joel Grimes. The interactive app format of the magazine has made it one of the most innovative and interactive educational tools, but it has also made it unaccessible for some. The interactive version requires that you view and purchase the magazine through a tablet like an iPad. Now Retouched has added the PDF version in their announcement that can be found on their website. 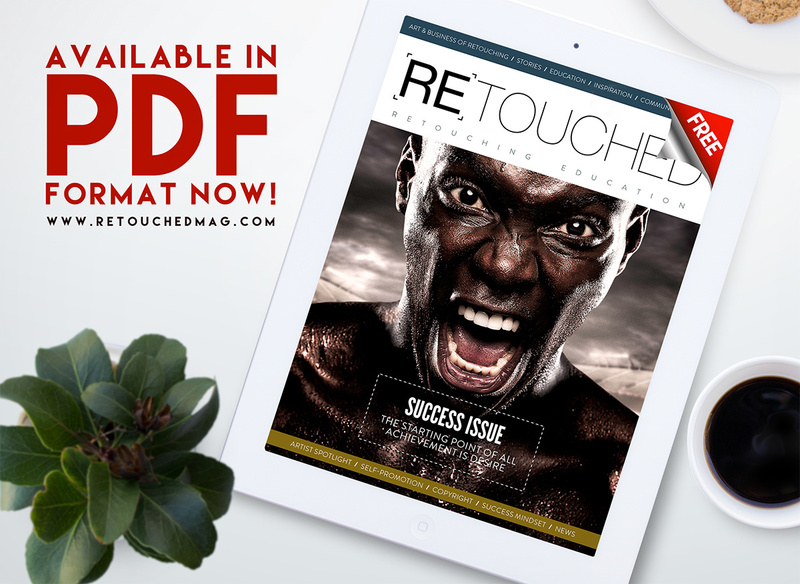 Retouched Magazine is bi-monthly with new issues every other month. The magazine is currently working on its fifth issue, with the previous issues focusing on success, advice, color, and your portfolio. While I still think the interactive version is the way to go, the PDF certainly opens up this incredible resource to a wider audience. Retouching Monday - Submit Your Image to be Retouched for Free! Very cool. I noticed the warning about interactive PDFs, I discovered that the hard way a while back, as I had my portfolio as an interactive PDF format, and most people were downloading to phones and tablets. Ooops!